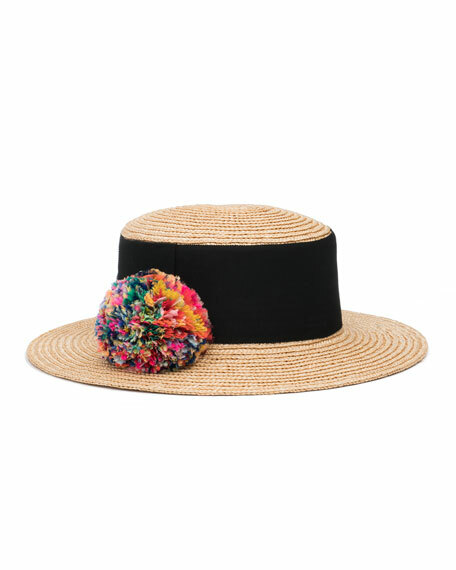 Eugenia Kim "Brigitte" boater hat in textured straw. Wide, Petersham ribbon hat band with feather pompom. Flat round crown, 2.75"H x 6.5"W.
For in-store inquiries, use sku #2138610.